FLORIDA. 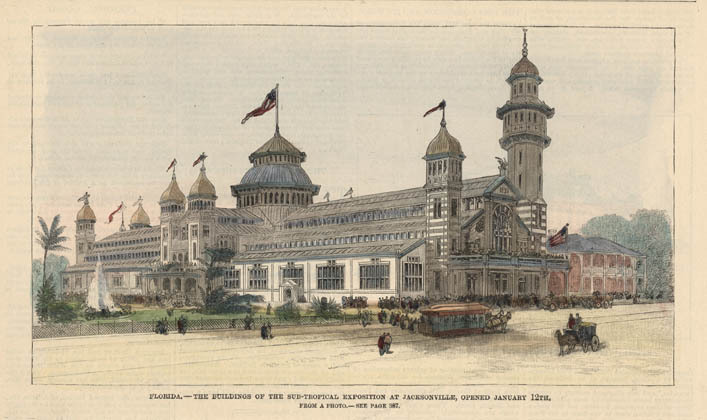 - THE BUILDINGS OF THE SUB-TROPICAL EXPOSITION AT JACKSONVILLE, OPENED JANUARY 12TH. Image size 5 x 8 7/8" (12.8 x 22.5 cm).